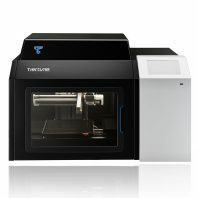 Tiertime manufacture high quality, dependable 3D printers. 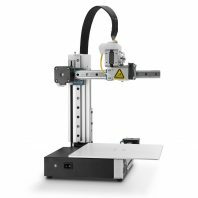 They are known for their consistent 3D printing and are used as the workhorses of the 3D printing world in many businesses. 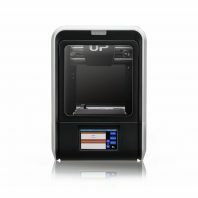 Apart from the UP 2 all of Tiertime’s printers feature an enclosed build area and a heated bed. This helps with extrusion consistency between prints and also enhances first layer adhesion, reducing warping. They are also very easy to use and built very much around a plug’n play ethos. This is another reason why they are favoured by professionals – less time setting up the printer and more time just printing. They come in a range of price brackets so that owning a good quality printer is not limited to those with a large budget. 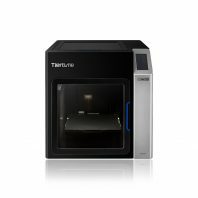 With the new range of Tiertime 3D printers, the UP Mini 2 ES, the UP300 and the X5, you also get Print Queue software compatibility. This makes them ideal for the office environment as it allows for multiple users to send print jobs to the printer without waiting for the previous job to finish. A functionality taken to the next step by the X5 with its 12 auto-swap build plates. 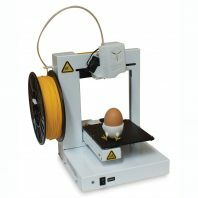 Their printers are optimised to use their own filament UP Fila PLA & ABS. This, again, helps to ensure consistent print quality. 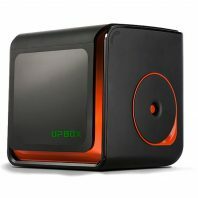 However, the UPbox, their new range of printers, and to a lesser extent the UP mini 2, cope very well with 3rd party filaments. So if you need a 3D printer that is easy to use, produces prints to the same standard time and time again and that are designed for the office with HEPA filtatration systems and also with the ability to run a print queue of jobs then these are the 3D printers to look at.